Pre-construction activities are beginning on the east platform at Ledbetter Station. During the six-month construction activity, passengers will have restricted access to the station and may be required to modify trips to make connections. The project is part of the South Oak Cliff Blue Line Extension (SOC-3) that will extend the Blue Line south approximately 2.6 miles from Ledbetter Station toward the University of North Texas (UNT) Dallas Campus and extend the length of the Ledbetter Station platform to eventually accommodate three-car trains. • The concierge building and restrooms will be temporarily closed. • The doors of both building that face the track will be permanently closed; the doors facing the bus bays will remain open. • Seats facing the bus bays will remain available. Limited platform seating will be available during construction. 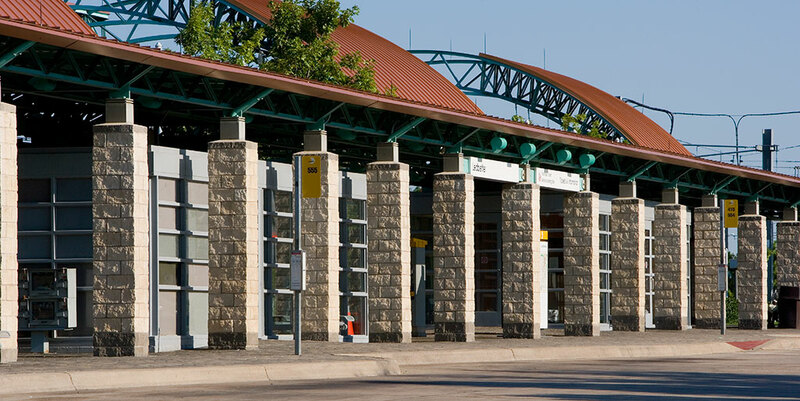 • The ramp connecting the existing parking lot to the platform will be closed to pedestrians for approximately six weeks during the modification. There will be five ADA accessible parking spaces in the new load/unload area. • Lighting at the station platform will be improved for safety. • The wall on the ramp leading from the parking lot to the platform will be modified, eliminating visual obstructions that will prevent passengers from seeing the parking lot. • Pedestrian crosswalks and traffic lights will be installed on Lancaster Road for safety. • Platforms will be redesigned for level boarding to replace current boarding ramps for customers with mobility and/or visual impairments. • Passenger load/unload area will be added to the Lancaster Road side of the station. Thank you for your patience with our construction.